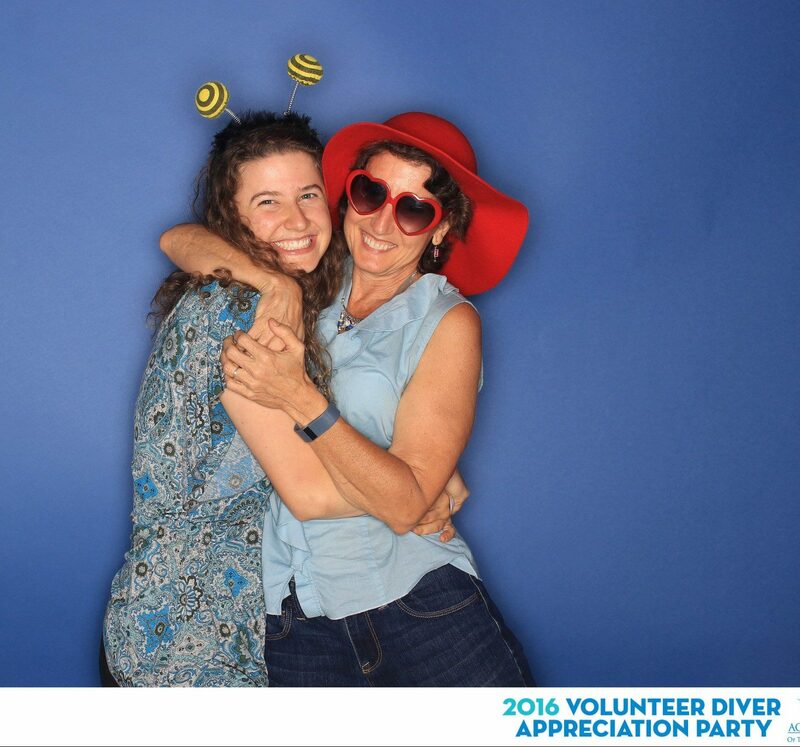 Last Saturday night was the Volunteer Diver Appreciation Party at the Aquarium of the Pacific. Shira volunteers there as a diver, an aquarist, and as an education docent. But tonight was about honoring the divers. 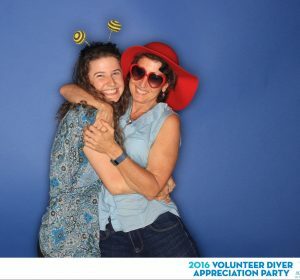 At 23, she is one of the youngest volunteer divers, I learned, and it seems that everyone has taken her under their wing, both staff and other volunteers. Shira is fortunate to have a very bubbly, easygoing nature; effervescent is how someone once described her, and I can’t think of a better word. She was allowed to invite one guest to the party as her “plus one,” and I was honored to be chosen. And even more gratified when every person she introduced me to gushed about how much they loved her, how hard she worked, how she was always smiling, how kind she was to the guests. But I get to work with her three times a week, so I already knew all this, because my coworkers constantly tell me. It is a very special blessing for a parent to have a child like Shira. And I am blessed that we are so close. Here’s to telling our loved ones how much they are appreciated every day, even when there’s not a special party.